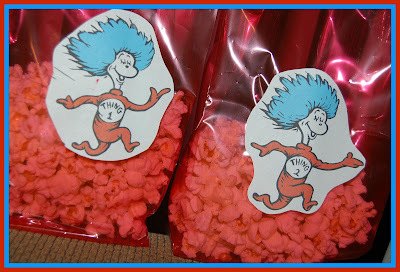 Mom of My Dreams: Dr. Seuss Day! 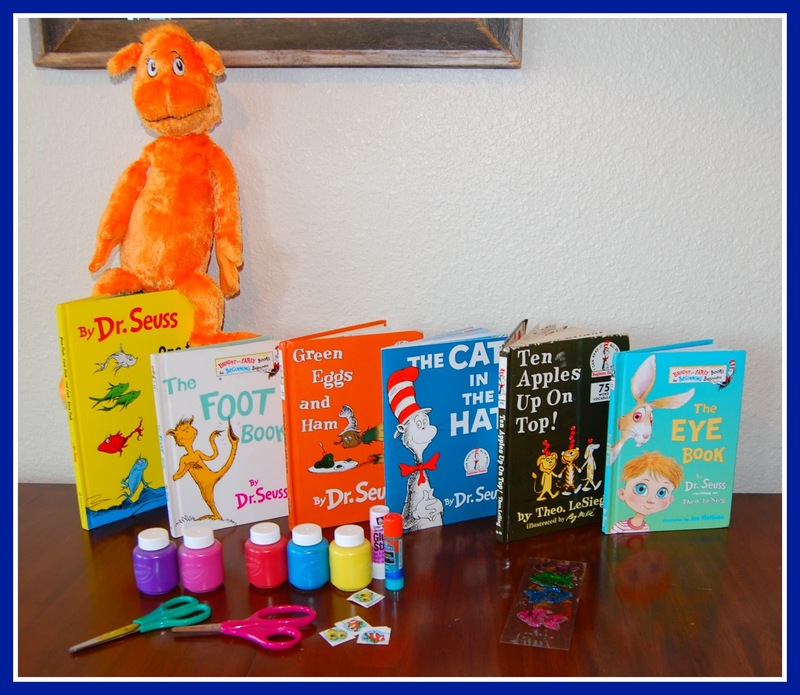 I woke up yesterday morning and remembered it was Dr. Seuss' birthday so I decided to throw some activities together and make a day of it with the girls. We started with reading The Foot Book and then I traced the girls feet. And they "painted" their toenails with markers. 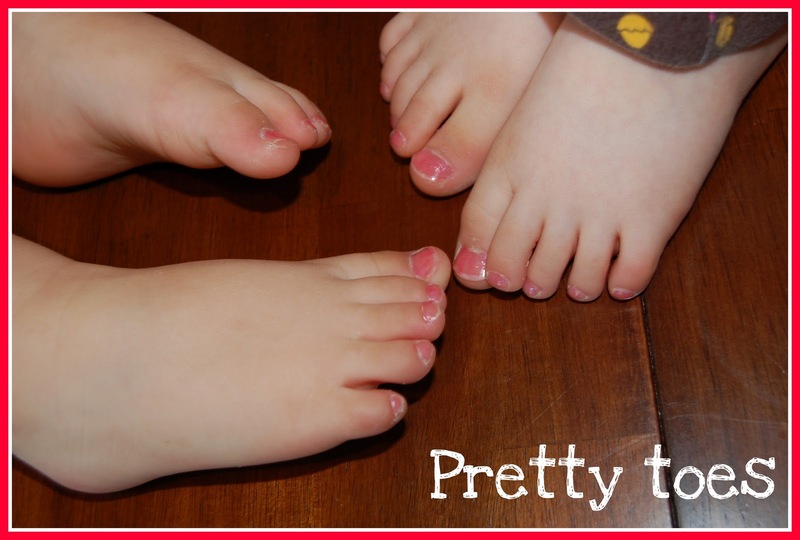 Of course then I had to give them "pretty toes" for real. 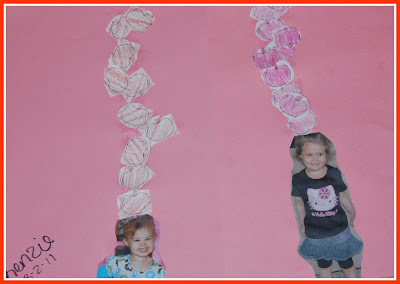 The girls made hats on paper. I drew fish bowls on paper and the girls colored them and added one fish to the fish bowl. 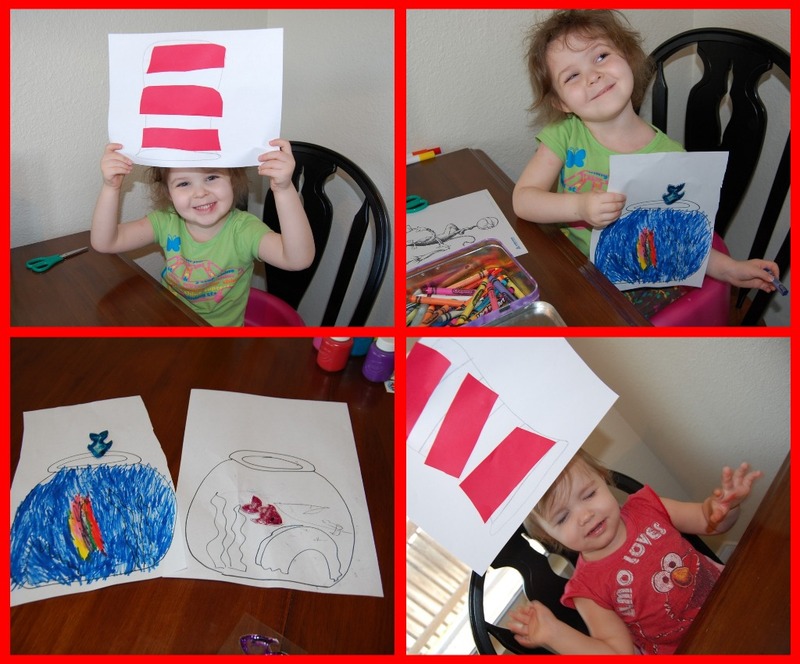 Allie had her fish diving in and she added a rainbow to the water "to make it beautiful". Next we read The Eye Book. 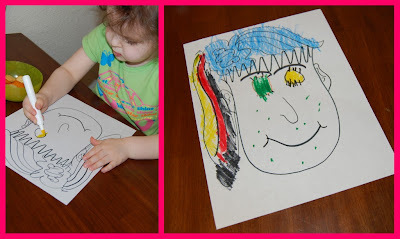 I drew some girl faces on paper and let the girls add eyes to them. Allie did great with this! Of course she had to add eyelashes and freckles!!! 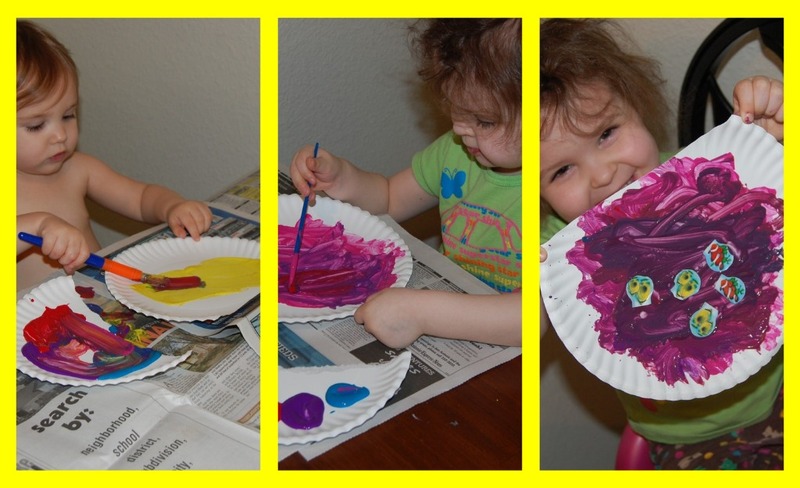 Kenzie had a melt down and skipped this activity. We moved on to Ten Apples Up on Top! Allie really likes this book. 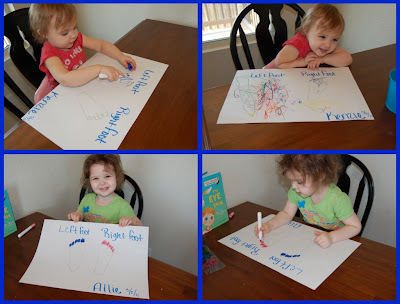 I made a page full of apples for them to color and printed out pictures of each them to paste to paper. Allie cut her apples out and I cut them out for Kenzie and they glued them on top of their heads! 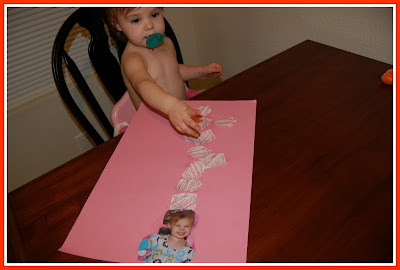 This was a really cute project. One of my favorites. 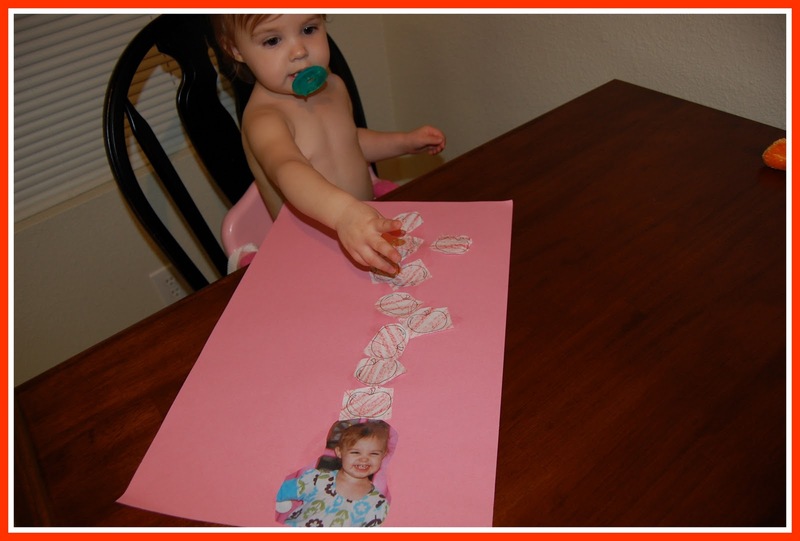 Kenzie just wanted to use up all the stick glue. We moved on to Green Eggs and Ham, Allie's absolute favorite! 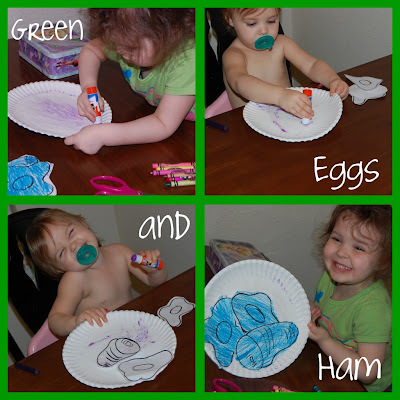 I drew some eggs and ham on paper and let the girls color them and cut them out then glue them on a paper plate. Allie colored hers blue and called them "blue green eggs and ham". Finally we ended with One Fish, Two Fish, Red Fish, Blue Fish. I cut the top off of two paper plates to make fish bowls and they painted them then added fish stickers. To end the day they enjoyed Thing 1 and Thing 2 popcorn and watched Horton Hears a Who.